We know that we want to make a change in our lives and that we want to reach great levels of success, but unless you understand the importance of finding your why and the importance of knowing why we want to reach our goals, we are adrift in an endless ocean with no land in sight. 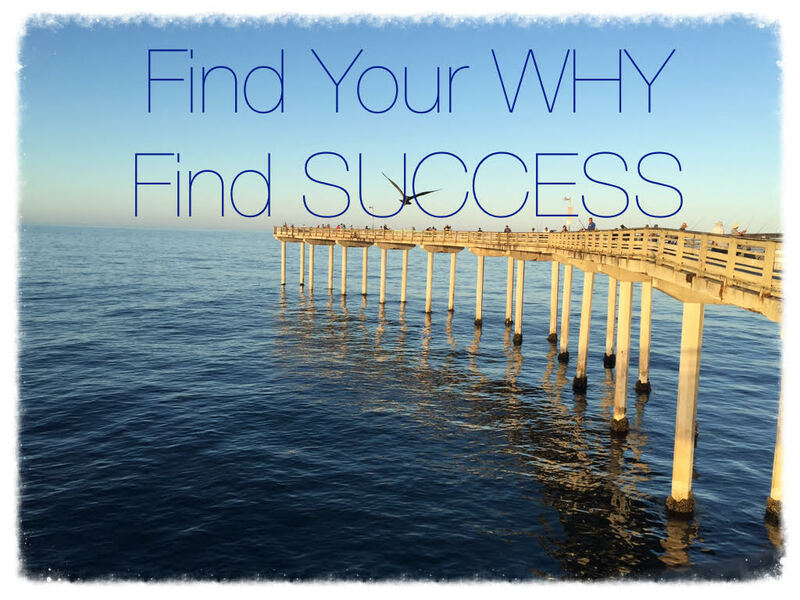 Finding your “WHY” is one of the most important steps to accomplishing the goals that you set out to achieve. Goals are the finish line, or an achievement that you set in your mind, but the WHY is the big reason for your sacrifices. We’ve all heard sayings like ‘hard work pays off,’ or ‘slow and steady wins the race,’ or ‘no pain, no gain,’ but why is it that we’re able to go through these trials and tribulations without giving up? The key is to look deep within yourself to discover why it’s okay to feel pain, discomfort and sacrifice some of the things that are most important to you. Whatever your goals may be, whether it’s to become financially free or to run a marathon, there’s going to be difficult times. Why do you want to be financially free? Why do you want to run a marathon? To find your why, you must close your eyes and really think about this for a moment. Perhaps you’re willing to sacrifice so much because of your wife or husband…maybe it’s for your kids. Maybe your ‘why’ is because you never want to experience the unhappiness of working in a job that you dislike. Everybody is going to have different reasons and different answers to ‘why are you doing this,’ but it’s important that you understand what yours is. Finding your why will be different than your friends and family. It doesn’t matter if others are doing this because they want something different than you. You must be able to truly visualize or feel deep in your gut your ‘why.’ Once you have an answer, you can set your goals to achieve the levels of success that you desire. It’s important to understand the importance of your why because without it, there is no deep and burning desire that keeps you moving forward every day. Don’t find yourself adrift without knowing why you’re doing what you set out to do. Goals and achievements are not accomplished by those who do not have a very clear understanding of why they are sacrificing so much. People like Steve Jobs set out to change the world through computers, Neil Armstrong wanted to walk on the moon to prove that what once seemed impossible was completely possible. Some of the greatest achievers of all-time had a very clear understanding of WHY! Knowing your WHY will create your drive. Your drive will get you closer to your goals. Your accomplished goals will give you the satisfaction, fulfillment, and sense of accomplishment that you have earned. Find your why, and you will find your desires. -Close your eyes and visualize what your goals are. Truly picture them in your head and imagine yourself experiencing your desires. See the details, register how your feel and burn that image and feeling deep into your brain. -Feel the pain and sacrifice that you must go through to achieve step 1. What are you giving up? What are you putting yourself through to obtain these goals? Feel the emotion, the longing, and the pain that is associated with this feeling of uncomfortableness. Feel it deep within. Let it burn and let it simmer for a moment. -Ask yourself this question: WHY AM I WILLINGLY PUTTING MYSELF THROUGH ALL OF THIS? Now picture the answer. If it’s family, picture their smiling faces and notice the details of them. If the answer is to never end up in a job I dislike ever again, feel that pain and use that pain to drive you forward. Step 4: TAKE ACTION! Take the steps necessary to reach your goals, but every single day you must be able to tell yourself and remind yourself why you are doing this. “I am sacrificing my life and willing to fight through failures so that (fill in your why). Finding your why will open up your life to opportunities that you never knew existed. It will put you on a path that may seem foreign at first, but before long your motivation will turn into a burning desire. Keep dreaming, and keep believing.